Buffalo, NY- Mayor Brown’s campaign rolled out another major announcement today, with the endorsement of Erie County Executive Mark Poloncarz. County Executive Poloncarz has served as Erie County’s chief executive since 2012 and as the highest ranking elected official in Erie County is a prominent figure in the Democratic Party. County Executive Poloncarz is widely respected for changing the culture in county government with a focus on providing core services to county residents. Under County Executive Poloncarz’ effective leadership, a 10 year lease was negotiated with the Buffalo Bills and the State of New York, securing the team’s long term future in Western New York. Prior to running county government, County Executive Poloncarz served as Erie County Comptroller for six years where he was lauded for his independent oversight of Erie County’s finances. The City of Buffalo is making great progress under Mayor Brown’s leadership with lower taxes, reduced crime, the highest credit rating in the city’s history, and increased economic development activity. There is currently $1.7 billion in economic development underway in the City of Buffalo, including the $172 million Harbor Center project on the Webster Block, creating new jobs. Erie County Executive Poloncarz’ endorsement follows the recent endorsements of New York State Comptroller Thomas P. DiNapoli and New York State Assemblyman Sean Ryan. 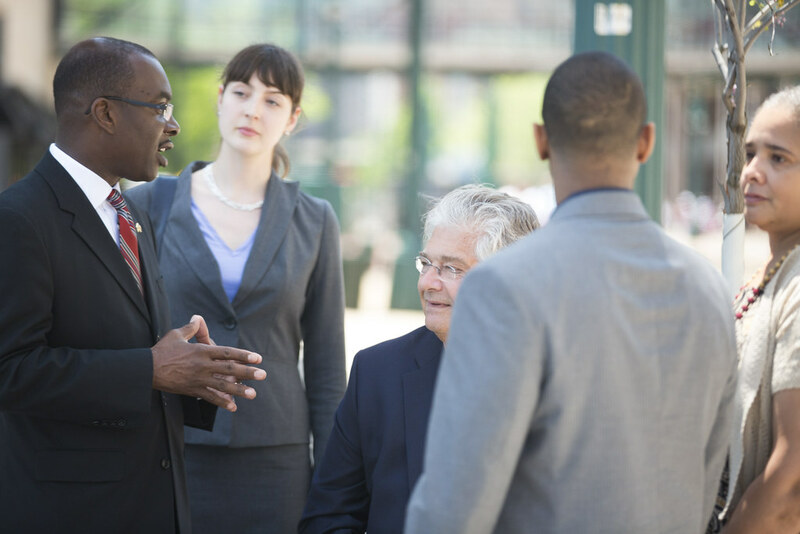 Mayor Brown is the endorsed candidate of the Democratic, Conservative, Working Families, and Independence Parties. Primary Day is Tuesday, September 10th.